Jesus said to them, “Come and have breakfast.” None of the disciples dared ask him, “Who are you?” They knew it was the Lord. 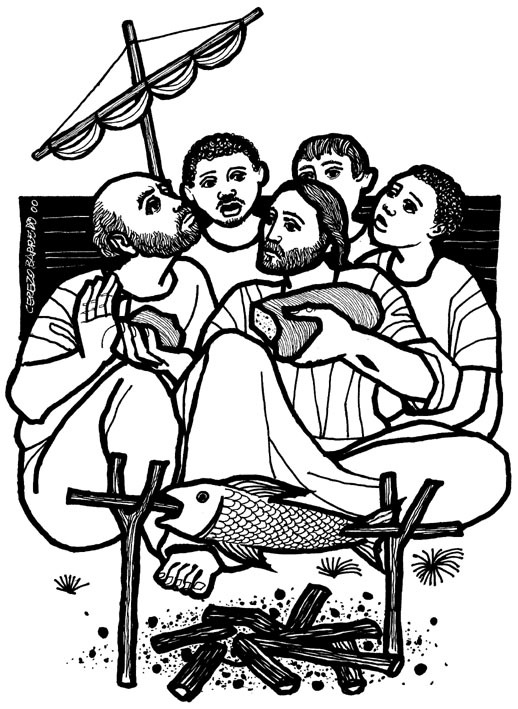 Jesus came, took the bread and gave it to them, and did the same with the fish. This was now the third time Jesus appeared to his disciples after he was raised from the dead.